As an iGaming operator, you need the right tools, tracking, analytics and reporting for smooth and effective operations. Pariplay has extensive experience and knowledge of working with all major platform providers and can help you implement and train your personnel to reap the maximum benefits. At Pariplay, we also understand that every organization has specific requirements and we don’t believe in a ‘one size fits all’ approach. Let Pariplay help you make the right decisions and implement the right solutions to meet your iGaming needs. 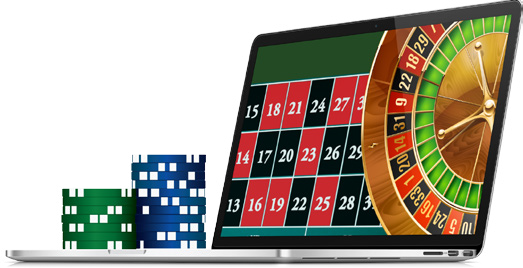 The heart of any gaming operation, be it iGaming, social, lottery or mobile, is the back-end operation. The ability to granularly control every element of operations and visibility to performance is what separates the exceptional from the rest. At Pariplay, after years of having worked with all the major platform providers, we decided to build the ultimate operations platform called SMTM. SMTM is completely universal and combined with our advanced APIs, it allows you to bring multiple platforms, plus our suite of games and services, together all under a single umbrella. SMTM gives your operational staff an extremely intuitive and easy to use interface, with the ability to manage each and every component with extreme granularity. With the easy to use reporting and analytics, making informed business decisions has never been easier or more effective. Contact Pariplay today for your one-on-one demo of SMTM. In the past, casino operators typically worked with a single platform or games provider, however the market has evolved and it is now common for operators to utilize multiple vendors. While this approach clearly has benefits in terms of variety and player acquisition and retention, it’s also presents a challenge for the operator. This challenge is how to interface these disparate platforms and games. At Pariplay we have built various API’s that overcome this hurdle and allow for all platforms to work harmoniously together. To realize the true power of the API, implementing our proprietary back office platform SMTM really brings it all together, seamlessly. Land based casinos have long since been an attraction for patrons looking for an all-encompassing entertainment experience. As part of this experience the interactive aspect is vital as the use of smartphones and tablets have become the way most of us communicate. According to the latest data from leading global analytics firm comScore, over 198.5 million people in the US owned smartphones. (79.3 percent). Where in the past casinos had to rely on physical slots machines or table games to entertain their players, the digital world has opened up endless possibilities that can take land based casinos to the next level with very low cost and time required. After years of development and testing eyeON received GLI certification late 2015 and is now ready to be deployed as an on premise mobile gaming solution. Pariplay’s eyeON is able to offer much more than just a tournament feature. Our solution encompasses a complete virtual casino that offers over a thousand games delivered with the ease and touch of a button. eyeON can transform any area like a lounge or a bar area into a virtual gaming space. While players are sitting in a designated lounge they can enjoy their latest games on giant LCD’s or their preferred mobile devices. Where customers were forced to wait for available machines, eyeON will be able to deliver seamless content and increase operator revenue in the comfort and convenience of the player. eyeON will fast become your most valued marketing and acquisition tool who never needs too much attention. All the work will be done seamlessly and in the background allowing you to focus your attention on the day-to-day running of the casino. Once setup and integrated into the existing CMS you are good to go. As soon as the player enters a designated area where gambling is permitted, they will automatically receive a link to download the application and within seconds their devices will capture a diverse portfolio of games including bingo, slots, instant win, virtual sports and live dealer. The system supports both registered and anonymous play. Pariplay has designed eyeON to comply with all local regulatory requirements and as such in jurisdictions where gambling is not permitted outside a designated area, the mobile app will automatically change to the free-to-play mode. The play for fun mode is automatically triggered when eyeON detects that the player has left the designated area where it is legal to gamble. The benefits of social casino games to a casino’s brand are well known. The growing social casino market is one of the fastest growing sectors in the gaming industry and is already worth over $3.4 billion and is set to reach $4.4 billion by 2017 according to Eilers Research. eyeON is a solution ready to be deployed that will grow with the casino according to the market requirements in the coming years. It offers an omni channel that compliments and does not compete with the existing setup. eyeON will ensure any casino operator remains at the cutting edge of digital interactive gaming with minimal cost and maintenance involved involved. The way it works is simple. A simple deployment of a server in the casino is all that is required. Geo Location technology is managed by beacon installation to ensure compliance with all local regulatory requirements. The beacon system is installed on the existing local Wi-Fi network which avoids additional costly installations. Payment options include a cashier system, TITO tickets directly from the current EGMs and other payment options like credit card/paypal if applicable. The benefits for the casino and player alike are numerous. Firstly it is all about the bottom line. Casinos will be able to grow their revenues almost immediately as eyeon targets players that otherwise would be just having a drink at the bar or lounging at the pool. Most importantly the patron themselves will enjoy an immersive digital interactive gaming experience which compliments their traditional floor casino experience. Straight away you are engaging your clientele via an additional interactive mobile channel that will make your brand available at the touch of a button. Branding and creating the personal touch with a player is essential in retaining loyal patrons. eyeON is a mobile application that can be designed according to the needs and requirements of any casino. Millennial audiences are key to the long term casino industry and in order to sustain the required growth, mobile interactive systems like eyeON are a necessity and not a luxury. Most importantly the patron themselves will enjoy an immersive digital interactive gaming experience which compliments their traditional floor casino experience. eyeON is all about improving and giving additional playing options to patrons who can take control of where and what they want to play. Staying competitive as an operator in the cluttered iGaming arena is no easy task. Aggregation tools have enabled operators to provide their players with a huge portfolio of games but this simply isn’t enough to stay ahead of the pack. Pariplay FUSION is much more than a simple content delivery platform; It is a comprehensive state-of the art aggregation solution, packed with unique features and tools to give your organization a true competitive edge. With a single integration into FUSION, you instantly gain access to the largest library of content from all the major vendors, plus many other talented boutique game developers too, including the full suite of games from the Pariplay Studio. Beyond the content, FUSION boasts a range of powerful tools and analytics that help unify your operations, including support for all bonusing tools, free spins, tournaments and skill games for all vendors. At Pariplay, we’re constantly innovating to remain industry leaders by delivering new and enhanced features and products for FUSION, to give our partners the edge they need to achieve more. Contact Pariplay now to learn more. Pariplay is passionate about lottery and its lucrative new opportunities! We worked hard to create some of the most innovative interactive systems and games that utilize our highly intelligent fixed-odds algorithm ticketing technology for our partners. Therefore we believe every lottery operator in the world deserves to have the cleverest lottery games available to offer their customers in their offerings. And Pariplay has the means and ability to bring excitement to online players and profits to our partners with our outstanding lottery games and SMTM backend office powering the whole operation. Players are demanding more engaging, interactive, and entertaining games than what they are currently being offered and experiencing with traditional lottery games. That’s why Pariplay is at the forefront of developing innovative and highly engaging games, powered by our unique fixed-odds technology to become your premier digital lottery content and technology provider. Our powerful fixed-odds technology is ten steps ahead of the online gaming industry. Not only was our whole system fundamentally built to be customizable in every possible way for any gaming environment, but we made sure our system was dynamic and intuitive. We here at Pariplay are planning for what we see as the future of iGaming and are in position to lead the industry with our innovative approach and fixed-odds based technology. Our sophisticated pre-determined algorithm technology elegantly fits into our creatively designed and highly engaging games, all under a fixed-odds mechanism. We pride ourselves on being able to offer flexibility, scalability, and unlimited levels of customization for any type of iGaming category. Operators are given plenty of leverage to customize their offering and user experience with our in-house designed games and flexible fixed-odds mechanisms. Our advanced technology allows greater flexibility for modifications to occur, as operators fine-tune their gaming operations for maximum revenue generation potential. Operators can customize, adjust and set their desired games RTP (return to player), odds of winnings, guaranteed house profits, and unlimited instances and unlimited prize pools amounts. In addition, operators utilizing our fixed-odds technology and mechanisms can organically create dynamic pay tables that are adjustable and customizable for each operator’s need and jurisdictions, to adhere to their respective regulation. Furthermore, operators can take advantage of our offerings and technology to promote second chance draws, in a mini-game or other customizable sequences, to increase player stickiness, retention, and player engagement. Think arcade experience for online gamers! The thrill and fun! Pariplay is on the cutting edge of developing revolutionary new types of lottery, scratch cards, bingo, keno, spin and table games for the next generation of iGaming – all powered by our fixed-odds technology.